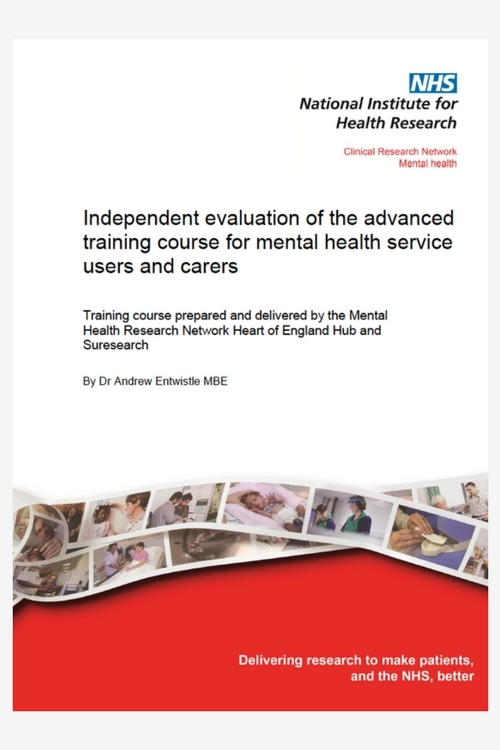 This pilot project was collaboratively designed, delivered and evaluated by Suresearch and the Mental Health Research Network, Heart of England Hub (MHRN) in 2011-12. It received MHRN ‘Flexibility and Sustainability’ funding. 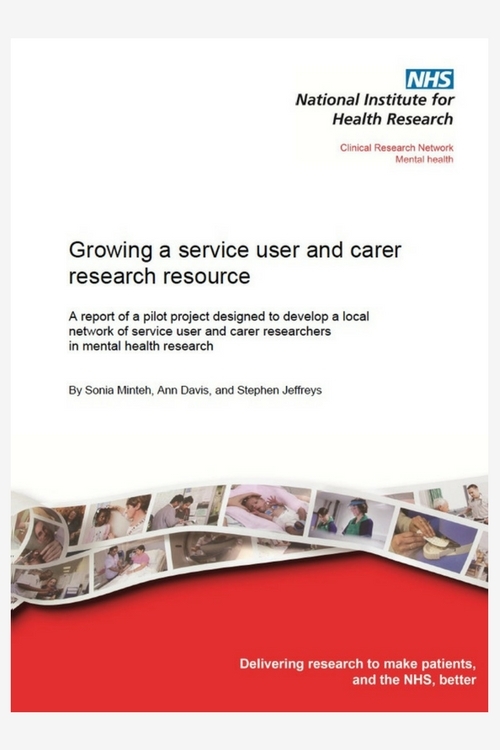 At the time of the project, the MHRN, as part of the National Institute of Health Research (NIHR), was working to make mental health research happen in the NHS in England through a coordinating centre and eight regional offices-hubs.The Heart of England Hub, led by Carly Cooper, employed a Service User Development Officer, Jackie Smart, and played a valuable role in facilitating and encouraging service user and carer involvement in mental health research. A six day course equipping service users and carers without previous experience for an intermediate level of involvement in research. A two day refresher course for those with some previous research experience. And advanced course for service users and carers aiming to conduct their own research and for involvement as a research collaborator and co-researcher for NIHR projects.This included five days of classroom sessions led mainly by University of Birmingham staff and seven days of practical experience on placements with researchers. 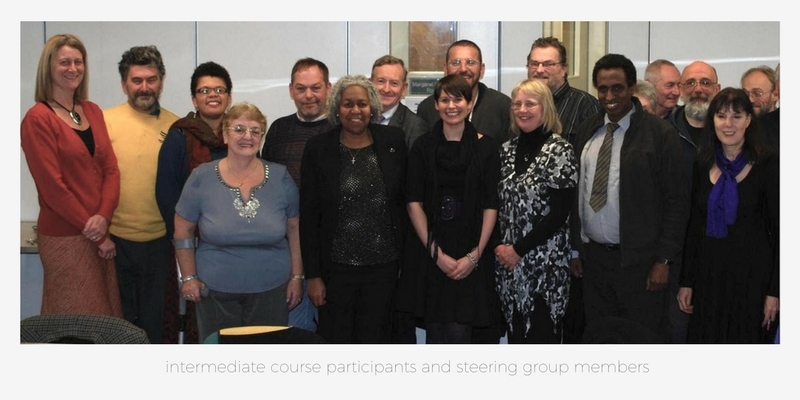 The project was managed by a steering committee of Suresearch and MHRN members, and Soniah Minteh was employed by the MHRN as a part time coordinator of the project.The project drew on lived experience in its management and delivery, including engaging Dr Jan Wallcraft to lead the intermediate and refresher courses. All participants were offered mentoring and support from a member of the steering group and the project coordinator, and were able to claim travel expenses. The project delivered training to thirty-one participants. is the project report, containing the participants’ own evaluations. This ‘how to do it’ report was written by Sonia Minteh, the project coordinator and Suresearch members. Both the project evaluation and an independent evaluation revealed high levels of satisfaction amongst participants about what the project offered and what was achieved.